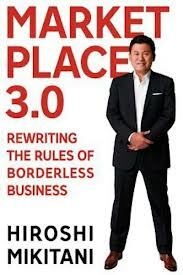 Market Place 3.0 rewriting the rules of borderless business, by Mikitani Hiroshi, CEO of Ratuken, is a book well worth your time and energy. I have added it to my recommended reading list which you can download here. I loved the book because it contains great insights and very doable tips about real empowerment, company culture, social-media, ecommerce and how fun can be profitable. I particularly enjoyed Mikitani's reflections on "service-mind", how the internet is much more than a modern vending machine, and why and how the human face must be present in all the online aspects of our organisations.